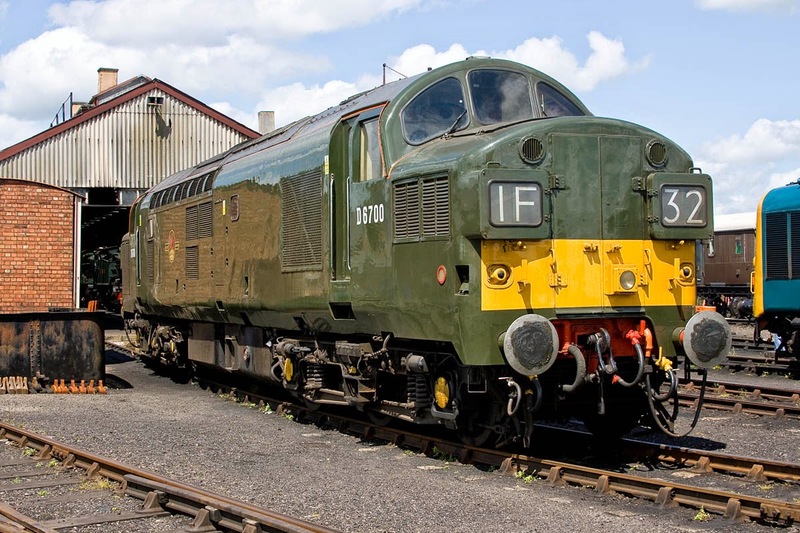 The original Class 37 locomotive D6700, part of a a first order of 42 locomotives, placed in January 1959. 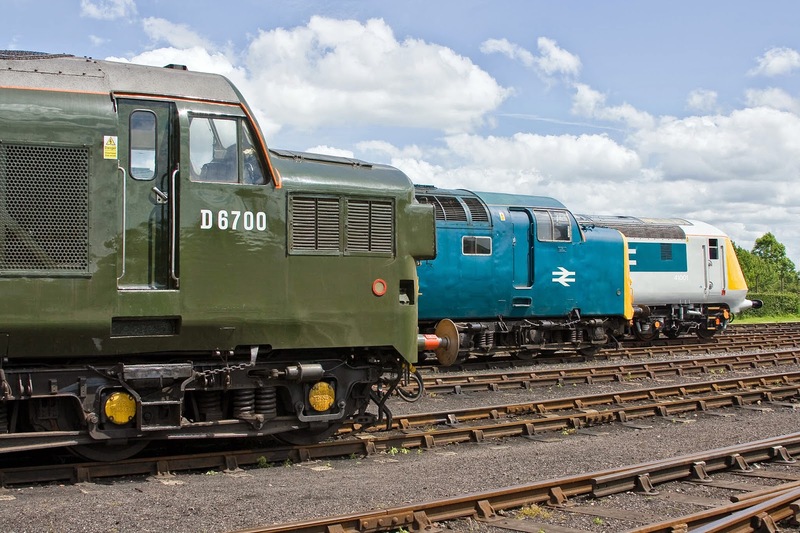 Delivered from English Electric - Vulcan Foundry in November 1960, just when the first Deltics were under construction, with which they shared a common bogie design, and entered traffic on 2nd December. Renumbered 37119 in February 1974, and then 37350 in March 1988 following repair at Crewe. 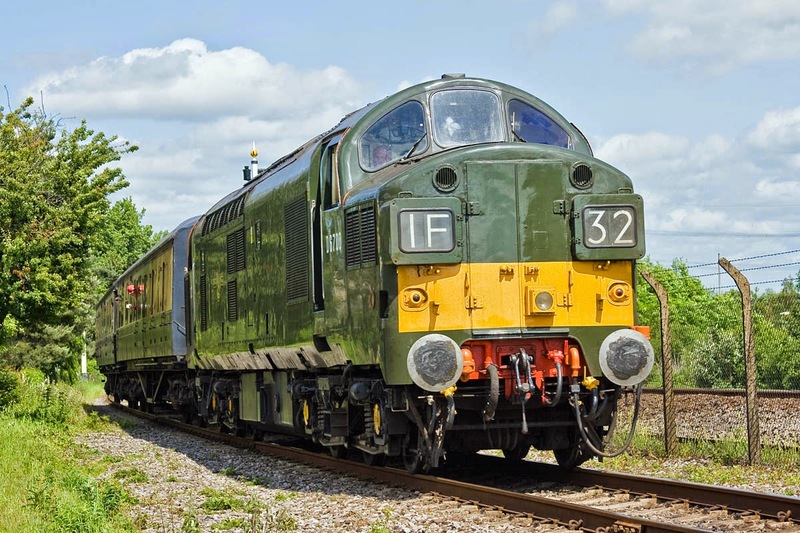 The latter renumbering was to indicate that it was riding on CP7 bogies, which were of cast variant, geared to 80mph and equivalent to those on the refurbished locomotives. My first sighting of the locomotive was in this condition at an open event at Merehead on 25th June 1989. 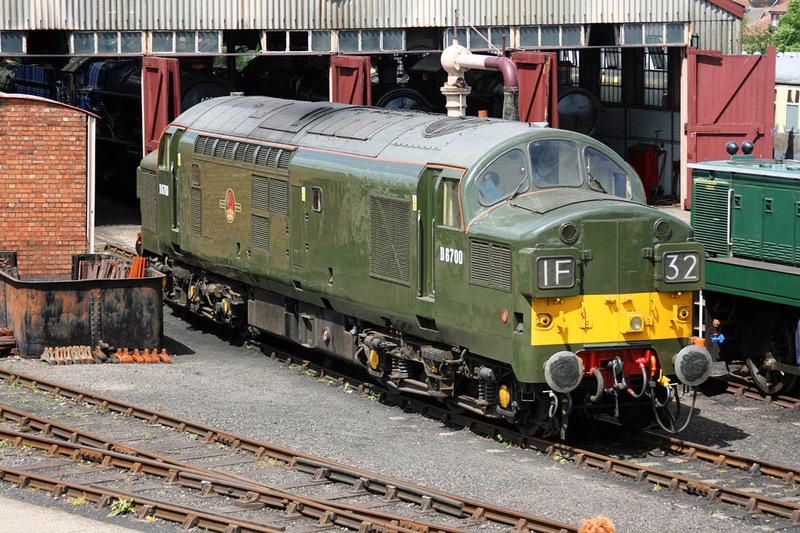 Withdrawn in December 1999, and to the collection of the National Railway Museum. Now again running on the original fabricated bogies.